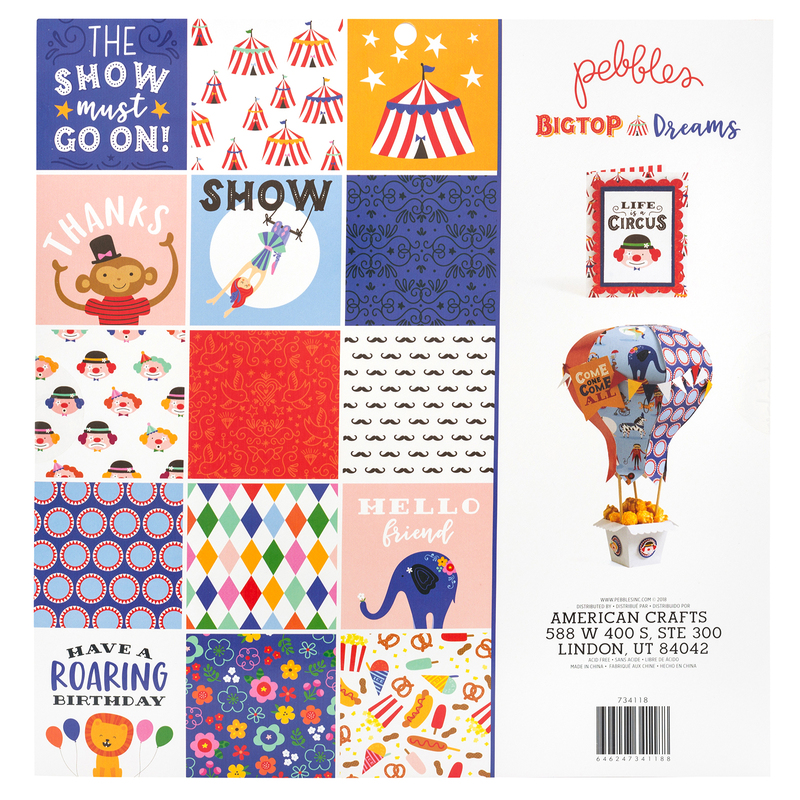 Come one, come all to the show where you are the star with Big Top Dreams by Pebbles, Inc! 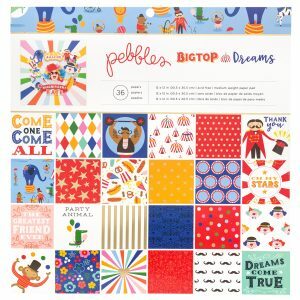 Act silly like clowns and be brawny like strong men, and do it all in style with a rainbow of bright colors. 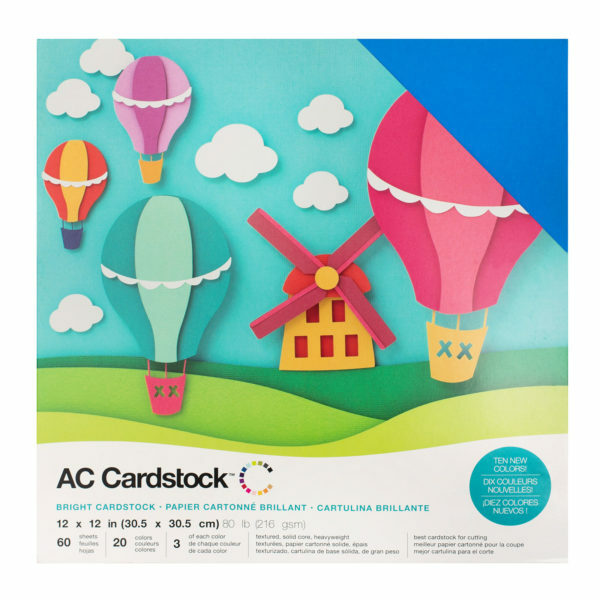 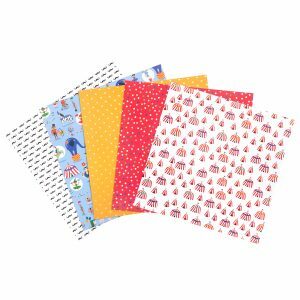 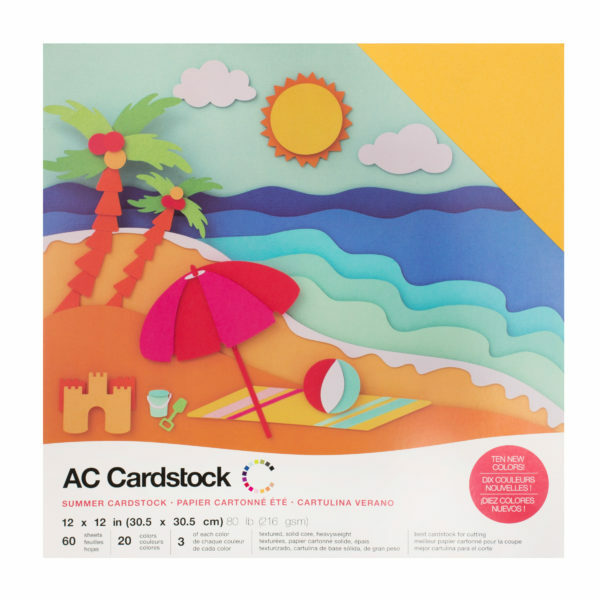 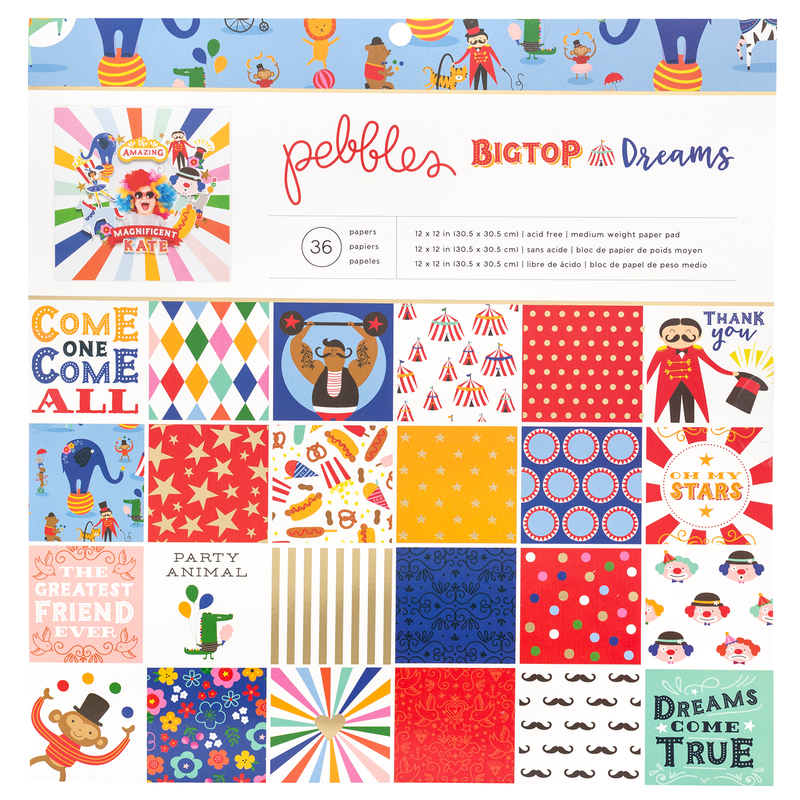 Start your spectacular projects with colorful cardstock sheets! 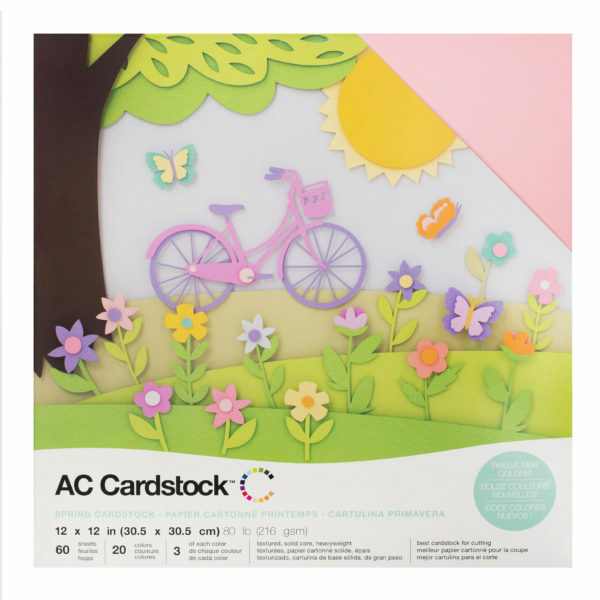 This paper pad has 48 sheets, some with shiny gold foil accents. 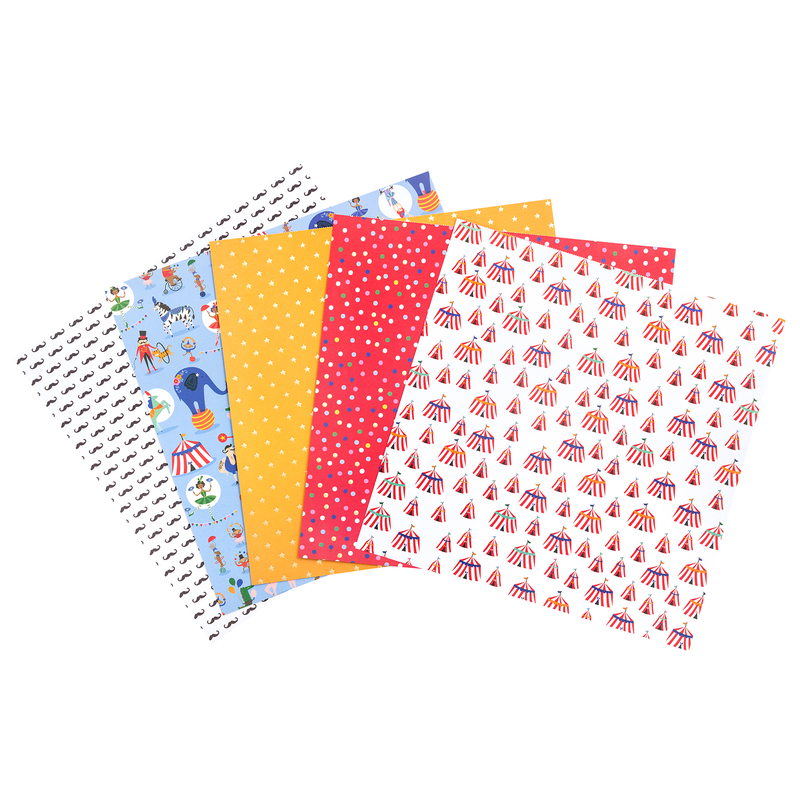 Each one is 12×12 inches, double-sided, and acid free. 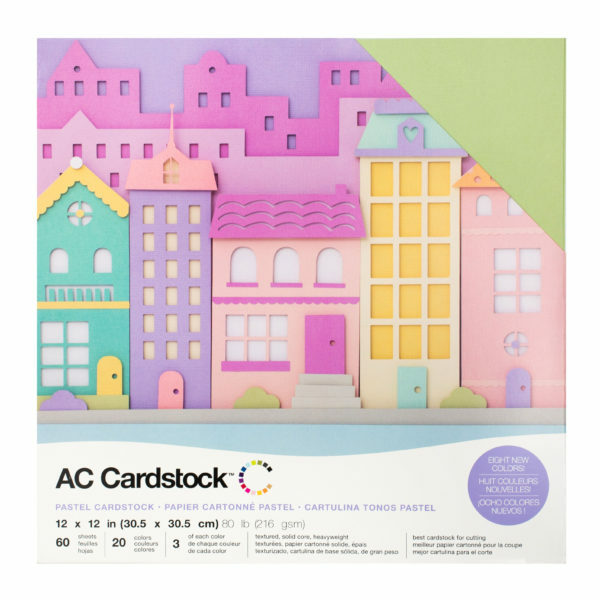 COLOR PALETTE: This rainbow of colors is perfect for any project — cards, scrapbooks, home decor pieces and party decorations…just to name a few!